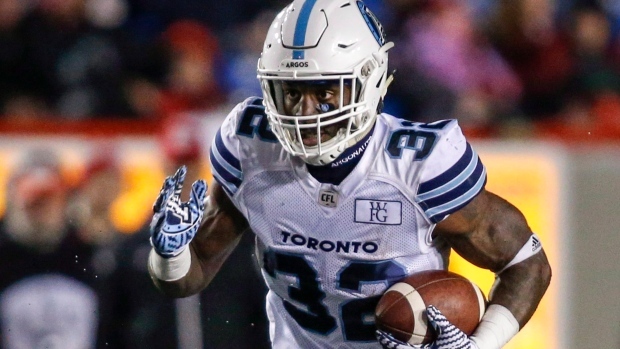 The Toronto Argonauts will be without running back James Wilder Jr. when they visit the B.C. Lions on Saturday night. Wilder Jr. suffered a leg injury in Toronto's 38-16 road loss to the Calgary Stampeders on Friday night and is listed as week to week. The CFL's top rookie last season is Toronto's rushing leader this season with 691 yards on 147 carries (4.7-yard average) with three TDs. Wilder Jr. also has 56 catches for 539 yards and a touchdown. Following their matchup with the Lions on Saturday, Toronto will host the Hamilton Tiger-Cats in Week 18.